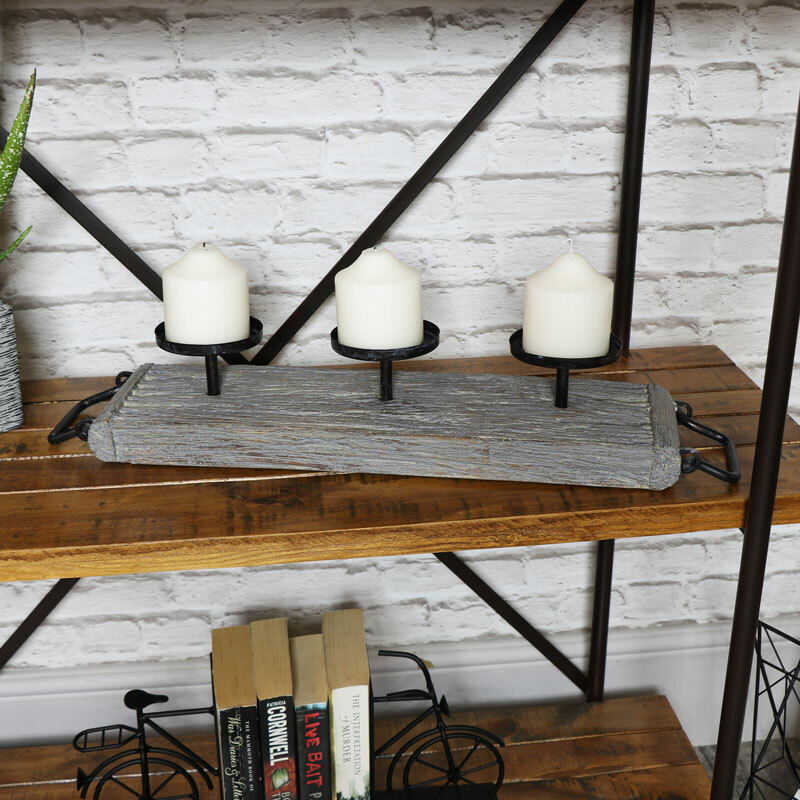 Add some beautiful rustic charm to your home decor with this candle stand. Realistic wood effect plinth with 3 metal candle holders. Light up your dining room by placing this candle stand in the centre of the table or use as a charming candlelit display with 3 metal holders that will easily hold large pillar candles. The plinth features metal handles on both ends that make this easy to move and adds to the overall effect. This candle holder will look fantastic no matter where you place it. 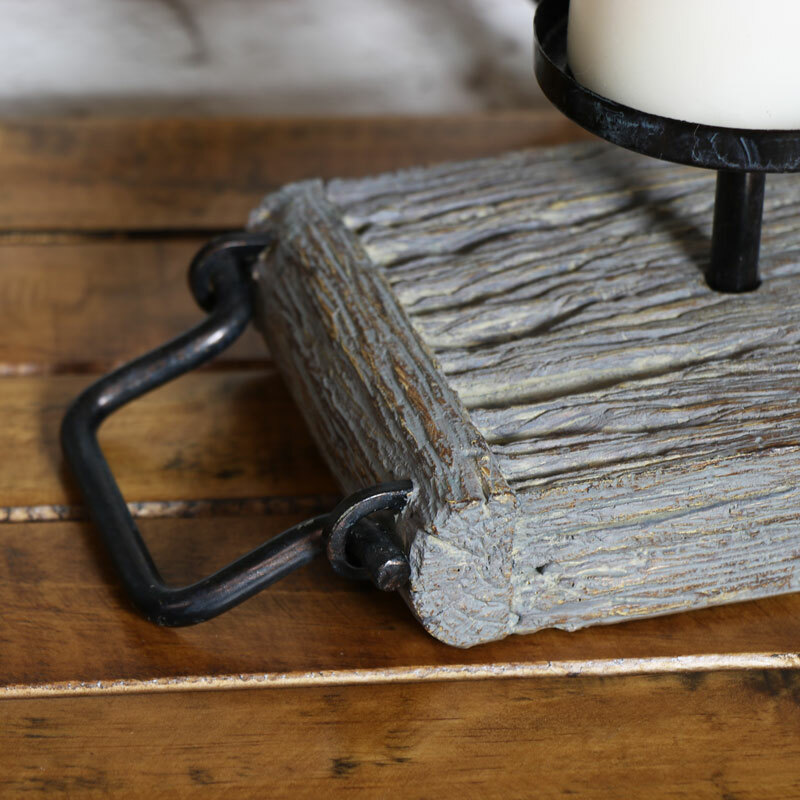 Add some beautiful rustic charm to your home decor with this candle stand. Realistic wood effect plinth with 3 metal candle holders. Light up your dining room by placing this candle stand in the centre of the table or use as a charming candlelit display with 3 metal holders that will easily hold large pillar candles. The plinth features metal handles on both ends that make this easy to move and adds to the overall effect. This candle holder will look fantastic no matter where you place it. 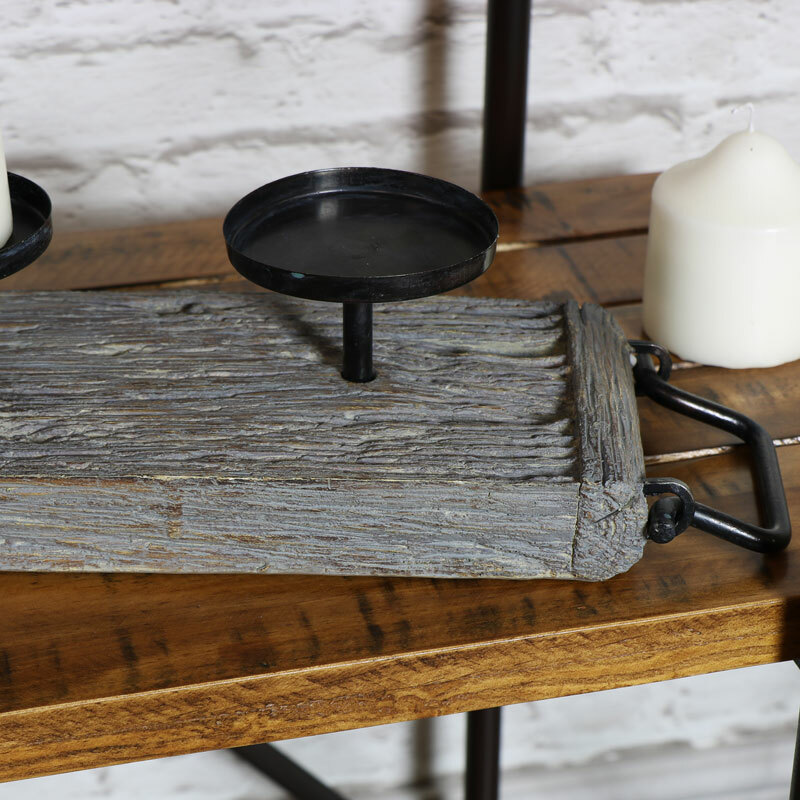 Made from resin in a realistic wood effect with rustic grey distressing and 3 metal candle plates, easily holds a large pillar candle (not included)with each plate measuring 8.5cm wide. If you are looking for the perfect gift, look no further. We have a wonderful range of gifts and home accessories with something for everything in a variety of styles.